In case you haven’t heard, your favorite Yahoo is about to be owned by Verizon which means we soon to see yahoo mail merge with AOL, AOL which was bought last year by same company set to purchase yahoo, I guess the financially crises hits hard on Yahoo as well. 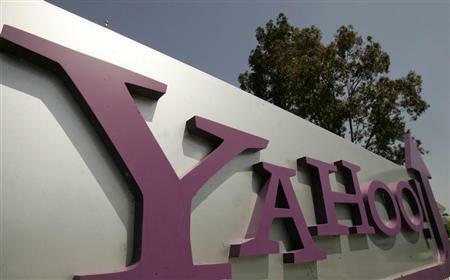 Yahoo Mail, Fantasy Sports, Flickr, Yahoo search, Tumblr, ads as well as any other content and mobile activities owned by yahoo are all part of the $5 billion deal. However two other shares which includes Yahoo Japan and Alibaba are excluded, the company will have a new name when it eventually become a publicly traded investment. Just over a year ago we acquired AOL to enhance our strategy of providing a cross-screen connection for consumers, creators and advertiser, the acquisition of Yahoo will put Verizon in a highly competitive position as a top global mobile media company, and help accelerate our revenue stream in digital advertising. Once the deal is approved and sealed by Yahoo shareholders and regulators most likely early next year, we are expected to see Yahoo being integrated with AOL. Marni Walden, Verizon EVP and President of the Product Innovation and New Businesses organization is however expected to head the department.